9 Father’s Day Fishing Gift Ideas! June the 19th marks father’s day in the UK! Why not treat your angling obsessed dad to a fishing related gift? To make things easier, we have put together 9 of our top father’s day gift suggestions for you – all available on a next day delivery from Fishtec! The Night spark head torch from TF Gear. The Airflo Interchangeable sunglasses – three glasses in one. Water proof overboard phone cases. 4. Online Gift Voucher – Ran out of time or cannot make a decision on a gift? Fishtec online gift vouchers are the ideal gift for father’s day. Easy to buy and use, you can select the amount, the date the recipient will receive their voucher, and even include a Father’s day message. Price – you decide! From £10 up. 5. Ridge Monkey toaster – Dad’s love having a munch whilst waiting for a bite. These nifty toasters are the best thing to hit the bank since sliced bread…. and that goes really well into one of these with a load of cheese and BBQ sauce! Price £16.99 (standard size) £24.99 XL size. Dr Slick deluxe gift set. Hardwear neoprene wellingtons – incredible comfort! 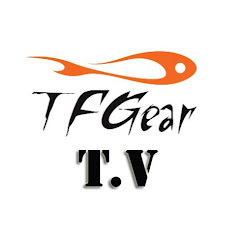 TF Gear Lok-box – a great tackle box that will not break the bank! 9. FishSpy underwater camera – This is for the tech-savvy dad that already has it all – fishfinder, electric engine, own boat, garage bulging with gear and is crazy about carp! This bit of kit will enable you to see what you’re missing quite literally; with it’s live and recorded underwater footage. Simply cast it out and transmit to your phone. Price £199.99 (rrp £249.99). For anglers who love their tech. The riverbank has always inspired great music. Do you have your own all-time favourite fishing songs? Here are 10 of ours, spanning genres as varied as country, blues and folk. These catchy little odes to the world’s best sport have been collected together from our much-listened to playlists, YouTube watchlists, and much-loved records on our shelves. Be advised, these fantastic fishing songs will have you running to the riverbank (or the record shop) in no time at all! Marking their transition from rockers to adopted Irish folk-rockers, “Fisherman’s Blues” is the titular song in The Waterboys’ now-classic 1988 album. Singing of their wish to be fishermen, “tumblin’ on the seas, far away from dry land and bitter memories”, they evoke the amazing sense of freedom that fishing gives you. Listening to the line, “no ceiling bearin’ down on me, except the starry sky above,” it’s almost more than we can take not to dash out into the night with our fishing rods right then. For a song called “Fishing Blues”, Taj Mahal’s tune is downright upbeat. But that’s because he’s a man who’s pretty darn happy; he’s “goin’ fishin’, yes I’m goin’ fishin’ and my baby goin’ fishin’ too”. Who wouldn’t be happy about that? Taj Mahal, a renowned American blues musician, recorded this version in 1968, but the song’s a lot older than that; the earliest version we know about dates to 1928. More than just a jaunty tune, it’s also got some decent advice at it’s core: “many fish bite if you got good bait”. Simple, but to the point. Now for an oldie, but a goodie. Legendary duo, Bing Crosby and Louis Armstrong, have got their priorities right in their 1951 classic “Gone Fishin’”. They’ve left the “hoe out in the sun” and hung signs on their office doors, and headed straight to the river to fish. “Mister Satch and Mister Cros” really know how to live. Roughly a decade after the success of this song, Bing and Louis recorded an entire album together; a dynamite duo like this doesn’t come around every day. As for this song, we dare you to listen and not croon along with them. You don’t need to dive down deep to get the wisdom of “Can’t Catch a Fish”, it’s right there in the fun, cheery lyrics. Offering life advice in the guise of an ode to our favourite pastime, the Fishing Musicians remind you that “you can’t catch a fish if your line ain’t in the water.” True words, indeed. And if you like what you see, you can always catch more of the Fishing Musicians on their YouTube channel. Conjuring up steamboats and banjos and early morning river mist, Doc Watson’s “Deep River Mist” is a bluesy tale of heading to the river to escape your troubles. You wouldn’t know it by listening to his masterful fingerwork but Doc, born in 1928, was actually blind from the age of one. Never letting his lack of sight slow him down, Doc went on to become an accomplishment folk and bluegrass musician and, later, one of the best acoustic guitarists in the states. We can all agree that Slim Dusty knows what he’s talking about. A mediocre day at the river still beats most things – especially a day at work. We all know that feeling when the fish aren’t biting, but the midges are and yet, somehow, you don’t care. That’s because, as Slim would say, even a “bad day’s fishing is good for the soul.” Sing it, Slim! So that was our Top 10, but the fishing song fun doesn’t stop there; we’ve put together a playlist of some of these songs for your listening enjoyment, plus a few extra for good measure. Now you can enjoy fishing songs wherever you are! But we’re always on the hunt for more, so let us know some of your favourites on our Facebook page. Beautiful fishing spot – but what danger lurks around here for fish? Marauders are ravaging our rivers! Fish stocks are depleted, and river ecosystems are suffering. Quite simply, there are too many mouths to feed and not enough fish. But who is devouring all the fish? Where did they come from and what is being done to minimise their impact? We take a look at six of the most infamous predators and the problems they’re causing for anglers. Cormorants may only eat what they need to survive, but survival means a significant diet! They feed on at least a pound of fish a day, which they catch with their long, hook-tipped bills while swimming underwater. Before 1981, you would have found cormorants breeding mainly on the British coast. But when one tree nesting colony established itself at a reservoir in Essex, others followed. By 2012, they were breeding at 89 inland sites in England! Numbers have risen ever since, and it’s estimated that 30,000 birds come to the UK every winter. Why does this increase in population matter? Because cormorants are a real threat to fish stocks. A survey by Swansea university found that they are causing a problem for most fisheries. In fact they’re considered to be more of a threat than mink or otters. There’s no easy solution either. Cormorants are protected under the Wildlife and countryside act 1981. However, thanks to three years of campaigning by the Angling Trust, it’s now to simpler to apply for a license to shoot cormorants that are causing major problems. This streamlined swimmer originally came from Nordic countries to over winter in Scotland, but since the 1970s, they’ve spread throughout England and Wales. Goosanders are medium sized members of the sawbill group of ducks, so-called because they have long narrow bills with saw like teeth, good for gripping fish. Their preferred diet is salmon and trout. These predatory ducks can be shot under license, and the government have now extended the control season to May at times of low flow, when salmon and sea trout smolt migrations are particularly vulnerable. Anglers can’t do much to change the situation, as otters are a protected species, You’re breaking the law if you harm, them capture them, or destroy their breeding place. Is the problem with mink of our own making? As with otters, it could be argued that the problem with mink was also caused by human mistakes. American mink arrived in Britain in 1929. Suddenly in demand due to the popularity of commercial fur farms, they were reported to be breeding wild in the UK in 1956, due to escapees and deliberate release. In 1998, animal activists released 8000 mink from a fur farm in North Staffordshire. A lot of the animals were trapped but the rest have populated vast areas of Staffordshire, Shropshire and Cheshire. Like otters, they hunt for fun as well as sustenance, and often leave fish remains on the bank. They’re a particular threat to salmon and trout fisheries. As well as devouring fish, these creatures eat rare birds, and are having such a huge impact on water voles, that they may soon be extinct throughout much of Britain. Volunteers with the Lochaber mink project are making a concerted effort to catch mink troublemakers. The process involves ascertaining exactly where the mink are coming to feed. To do this they use a mink raft. Mink are then trapped on the rafts or by traps dug into the river bank. Seal populations are extremely healthy around the UK coastline, and numbers have grown rapidly in recent years. While they enjoy salmon, these appealing creatures aren’t overly fussy about the fish they consume. Pike, bream and carp have all been victims. However, seals are fussy about which parts of a fish they’ll eat. They leave plenty of leftovers! As seals are a protected species, non-lethal deterrents have to be the first port of call. Seal scarers that emit a high pitched noise can deter them. However, sometimes they become such a problem that fishery managers apply for a license to kill. They are regularly shot in Scotland under licence to protect salmon and sea trout stocks in estuaries. In 2013 alone, 200 seals were shot. Even the RSPCA recognizes that the issue of seal control is far from simple. They say that there is significant evidence that fish can feel pain. They point out that farmers are also under legal obligation to protect their fish. Seals hit the headlines in 2013, when a female dubbed Keith turned up in the River Severn following flooding. Convinced that Keith was depriving them of catches, anglers tried to bring in a hitman to get rid of the seal for good. Beware this destroyer of native shrimps! D. villosis (aka the killer shrimp) is an aggressive predator which spread to the UK from Eastern Europe. This tiny terror kills and feeds on native freshwater shrimps, young fish and insect larvae. Over the last few years, DEFRA has been running a campaign to raise public awareness of this killer. The key words of the campaign for all anglers are CHECK, CLEAN and DRY. All it takes to destroy any clingy shrimps is fifteen minutes submerged in hand-hot water! But if you don’t follow this advice, the shrimps can survive in your wet fishing gear for up to 15 days. The Wildlife and Countryside Act 1981 prohibits releasing non-native species into the wild, but no one has been prosecuted under the law. However, some MPs are pressuring the government to allow environment officers to enter any land where they suspect invasive species are creating a problem. The Angling Trust believes that the situation will only change if the government focuses on restoring healthy fisheries. How this can happen? So anglers, it’s time to take action! You can support the Angling Trust’s plan by doing one simple thing. Pay for a rod license (you probably do this already, right?). The Angling Trust currently uses rod license fees to employ three fisheries management advisors. These advisors coordinate the efforts of local fisheries to manage cormorant predation. They also help erect fencing to exclude otters, as well as placing submerged fish refuges in fisheries. Have you had any close encounters of the predatory kind? Head over to our Facebook page and share your stories. We look forward to reading them! British waters are under attack! Non-native species of plants and animals are invading our waterways, destroying native river inhabitants and destabilising ecosystems. Anglers are the first line of defence. According to the Angling Trust we already spend 100,000 hours every year combatting the invasive non-native species (INNS) that impact fishing. But there’s still more we can do to slow the onslaught and defend our waterways. We take a look at five of the “Most Wanted” invasive species and give you some top tips on invasion prevention! Introduced to the UK as a high-end seafood, the signal crayfish is the one enjoying the meal now. Treating British waterways as its own personal buffet, these large crayfish not only attack our native white-clawed crayfish, but will kill and eat small fish, fish fry, and fish eggs. The signal crayfish is a disaster for indigenous wildlife. It transmits a “plague” which kills the native crayfish and displaces native fish, including Atlantic salmon parr and stone loach. Even worse, by burrowing into riverbanks, the signal cray erodes the aquatic habitats of other creatures and renders streams to shallow for fish to swim in. Don’t let its small size fool you. According to the Environment Agency (EA), the topmouth gudgeon is a “tiny yet destructive” fish, which carries a disease that can kill Britain’s native salmon and trout. This wily sardine-lookalike dominates the rivers and lakes it spreads to, even out-competing carp. Accidentally introduced to the UK from Asia in the 1980s via the aquatic trade, the topmouth gudgeon quickly spread to 23 sites around the country. But this is one of the success stories. The EA is battling back and the topmouth gudgeon is steadily losing ground. With a bit of luck it will soon go the way of the fathead minnow and the black bullhead catfish, both of which now no longer exist in the UK. Victory is possible! Killer shrimp are deadly to freshwater invertebrates like native shrimp and also to small fish, often slaughtering without even eating their victims. They also kill any insect they encounter, including damselflies and water boatmen, reducing the amount of food available for fish. The watery assassins come from the Black and Caspian seas but migrated here aboard commercial shipping. First spotted in the UK in 2010, the Killer Shrimp’s insatiable appetite and fast breeding cycle make them them one of most damaging invasive species not just in the UK but across Europe. The pretty green leaves may look nice, but floating pennywort is an angler’s worst nightmare. This invasive plant thickly carpets British waterways with its crinkled, kidney-shaped leaves, driving away fish and other river residents by blocking out the light and depriving the water of oxygen. And, to make matters worse, the plant grows up to 20 cm a day and can spawn from even a tiny piece of root making it difficult and expensive to remove. Originally imported to the UK in the 1980s to prettify ponds, floating pennywort is now considered so destructive that in 2014 the UK Government banned its sale here in the UK. Sunbleak reproduce at lightening speed, rapidly colonising the rivers and moving in large shoals. Depressingly destructive, this fish is yet another example of a foreign invader originally imported to the UK to prettify fishponds. CHECK: Check all your fishing gear for any living organisms. CLEAN: Clean everything you took fishing, including your footwear, clothes and gear. DRY: Make sure everything is completely dry before you use it again.Some invasive species can survive for days in damp conditions. Help spread the word. The GB Non-Native Species Secretariat (NNSS) produces posters, signs, and other materials about the campaign that you can put up at your local angling club. If you think you’ve got invaders in your local stretch of river, head over to the Angling Trust and NNSS websites to look at some of the mugshots on display. Can you identify a non-native? email your report to the NNSS or fill out the form. Have you had any encounters with river invaders? Head over to our Facebook page and tell us your stories from the front lines! Better than a birthday party? Nearly half of all anglers admit to dodging an important event to go fishing! According to our Big Fishing Survey, just over 1400 of the 3100 anglers who took part admitted to ducking their responsibilities to get an extra few hours by the water. In fact you’d be amazed what some audacious anglers get up to when they should be elsewhere! Read on to find out how anglers skip work, weddings, anniversaries and more – and all so they can wet a line! Ever missed a family member’s birthday to go fishing? 60% of you have, including Sigurður from Iceland, who missed his wife’s birthday and drily remarks: “This will never happen again.” We’re sure it won’t! It’s not just birthdays that anglers miss. Rod-crazy Rhys admits to being by the water when he should be eating birthday cake. He also tells us he nearly missed the birth of his own child! He doesn’t say how close it was, only that he “just made it”. To love, honour and… fish? What could be more important than a family wedding? Fishing, according to 14% of you who took part in our survey! Angling mad John missed his sister’s nuptials to go fishing. And not even a stag night can entice every angler. Several said they missed a stag do, and one resolute rod-carrier even missed his own stag celebration. Your honeymoon escapades are even more shocking. Unromantic Ian says he sent his new wife to Spain while he went angling with friends. They do say absence makes the heart grow fonder! We couldn’t believe fishing fanatic John’s honeymoon story. He left his beloved at home and trotted off to Scotland to pursue his passion for angling. Then there’s the groom who went fishing with his best man while the bride went on holiday with her bridesmaids. Whatever floats your boat! Our survey reveals that 10% of participants have missed a job interview to fulfil their need to fish. But it doesn’t stop at the interview. Those of you lucky enough to land a job end up dodging important work commitments to go angling! Another keen angler was meant to hold a presentation with important customers but went fishing instead. Funnily enough, the customers got tired of waiting and left! Fishing-mad Fin was so keen to maximise his time on the riverbank he actually resigned from his job. Playing hookey? Surely not; it must be the weekend! According to our survey, your casual attitude to work seems to have started in the school classroom. Many of you posted your memories of skipping school to fish. One enthusiastic angler even missed his university finals to take part in an international match at Lough Owel. Then there are the stories of missed parents evenings and missed operations. Avid angler Nigel admits that he missed his son’s graduation because his partner had booked him a fishing session for his birthday. Would you have gone? It’s not just your children who’ve suffered. Many of you admit you’ve missed Christmas dinners or New year parties; several even skipped funerals to go fishing. One angler competed at a commonwealth fly fishing competition while the rest of the family attended his aunt’s funeral. Finally, you have to feel sorry for the poor pooch whose owner forgot to pick him up from the vets because he was out fishing. The dog endured a night at the vets and the angler was hit with a £100 bill. Have you dodged important occasions to go fishing? We’d love to hear your stories, so pop over to our Facebook page and share away! Take your holidays where the great fishing is! If you were to jet off with your fishing tackle in tow, where would you head for the ultimate carp fishing holiday? When we put the question to you, we were expecting you to plump for exotic foreign shores. But according to our Big Fishing survey, you don’t want to travel that far. In fact your top three carp fishing destinations are all in Europe. So where are your dream carp fishing hotspots? Although best known for it’s giant catfish, the Ebro River in Spain is also a favourite carp fishing holiday destination. Think 300 days of sunshine each year, shoals of massive virgin common carp and a current carp record that stands at 78 lbs. Why wouldn’t you want to fish the Ebro? With carp so plentiful, you’re in with a good chance of multiple catches – and because many of these fish have never before been caught – the fight alone is worth cost of the flight to Spain. Expect carp averaging between 20 and 30lbs but prepare for a 40, 50 or 60lb plus beauty. And in the unlikely event you get tired of reeling in carp, you’re also likely to come across catfish, zander, perch, black bass, barbel and rudd too. At over 577 miles long, the Ebro is the second longest river in the Iberian peninsula, and it offers a multitude of carp fishing opportunities. You could take a road trip or base yourself in one of the market towns that dot the river banks. The small town of Flix is a popular choice for anglers as is the historic town of Caspe, known for its top quality carp and catfish angling. Great carping on the Ebro! Why not take advantage of the expertise offered by one of the many guided fishing operators working in the area? With over a decade in business under their belt, Catfish Capers know a thing or two about fishing for carp and catfish on the Ebro. Based in Caspe they specialise in providing dream fishing holidays for anyone from beginners right through to seasoned pros. Set in the countryside of France’s Champagne region, DreamLakes is your second choice carp fishing destination. A complex of five mature and peaceful fishing lakes, the resort is within easy reach of the channel ports. Located just outside the town of Orconte, south of Calais, it’ll only take you about four hours to drive from the ferry or Eurostar terminal to the lakes. Cue a road trip to experience some of the best specimen carp on the continent. The lakes total 40 acres and are home to numerous large carp, including common carp, mirror carp and grass carp. Well stocked with 30 and 40lb carp, as well as bigger fish nearer the 50lb and even 60lb mark, it’s surely the proximity to the UK and the quality of fish that makes DreamLakes so popular with or readers. Each lake offers something different. DreamLake 1 is all about specimen carp fishing with regular catches weighing well into the 50lb range. But there are bigger fish there too, if you’ve got the skill and patience to outwit the really big carp that live there. The DreamLakes record for common carp caught in DreamLake 1 stands at 70lb 20z. Alternatively, DreamLake 4, which opened in 2000 was originally stocked with over 200 carp and more have been added since, making it a great beginner lake. More experienced anglers will love it too and many have broken their personal best fishing this lake. DreamLakes is the brian child of British angler, Zenon Bojko, who runs the complex with his family. There are two holiday options from which to choose: the package holiday or a self-drive package. The package holiday includes transport for you and your kit and the self-drive package has the option to pre-book fishing tackle. Make the journey to France a worthwhile one by taking advantage of the on-site bailiffs’ experience, as well as reading up on the top tips and tactics for each of the lakes before you go. Anglers Paradise in Devon takes third spot on the podium which just goes to show that you don’t have to travel far to experience top quality carp fishing. More than 30 lakes make up Anglers Paradise, 12 of which are exclusive to residents staying on site. These 12 lakes house carp nearing 40lb, as well as golden orfe, tench and wels catfish. Why not try your luck at the Specimen Carp Lake? It contains just 33 carp, eight of which weigh in the 30lb region. Interested? To whet your appetite further, just take a look at what other anglers have been catching at Anglers Paradise recently. Anglers Paradise is one of the largest angling resorts in Europe, with anglers travelling from all over the world to enjoy the carp fishing available there. It’s an ideal place to bring non-angling guests too as they are well catered leaving you to spend the day fishing! Alternatively, if this winter’s rain and flooding has you dreaming of giant exotic fish species in sunny climes, Gillhams Fishing Resorts in Thailand was a close contender in fourth place. See you there! Which of these lakes have you visited? We’d love to hear your carp fishing holiday recommendations. Have you ever phoned in sick to go fishing? If you have, you’re not alone. A staggering 50% of the anglers we surveyed admitted to bunking off work to go fishing. Read on to discover how fellow fishermen dodge their work duties in favour of a day on the riverbank, and find out what you can do to achieve the perfect work / angling balance. Come rain, come shine, come rain again! Just put a plaster on it. Oops! If you are going to call in a sickie, make sure you stay out of sight! If your equipment doesn’t work, neither can you! Self-employed plasterer Charlie admits to sabotaging his equipment in order to provide an excuse to go fishing! Can you schedule a morning fishing trip into your work day? You’re not ill or injured and you don’t like dodging work with lame excuses? You can still fit plenty of angling into your work schedule – you just need to find the right job! But beware mixing business and pleasure as it creates new dilemmas. Angling photographer, Henry Gilbey continually finds himself torn between taking the pictures and doing the fishing. He says it’s a “dilemma that regularly breaks my head”. We say, come on Henry, what a lovely problem to have! What’s your excuse for skipping work to go fishing? We’d love to know – and don’t worry, we won’t tell your boss! How much has fishing changed over the years? We thought we’d find out. Check out our collection of charming vintage fishing film clips and see how they compare to the videos from today’s cutting edge of angling. We think you’ll be amazed by just how far fishing has come – and how much it’s stayed exactly the same. A decade later and the Brits were competing in Denmark. Check out the snazzy plastic sun visors these British anglers wore while competing in the Woodbine challenge. Locals were apparently “bemused” by their interest in coarse fish in preference to salmon and trout. Fast forward to the 2015 World Angling Champs and what’s most striking is the professionalisation of the sport. The fishing, however is just the same as it always was. Jump on board a trawler and chug your way out to sea for a 1960s cod fishing adventure, Icelandic style. Now take a look at the next video, courtesy of the good folks at Sportquest holidays. The venue is the same, but check out how much quicker it is to get to the fishing grounds! Simple yet effective, in the 1930s rods were crafted by men working in harmony with their machines – not to mention plenty of good old fashioned elbow grease. 76 years later and the materials have changed but making a quality rod remains a skilled job with a strong craft element. Worthing’s the venue for this charming summer holiday clip from the1930s. As the commentator says, the kids here are only too delighted to “swap hated books for baited hooks”. Now it’s all about keeping the kids off the streets – here’s a novel approach – an indoor fishing venue. They say you no longer even have to step outside your bedroom to experience the thrill of fishing. The latest gaming technology means fishing games that are just like the real thing – apparently. But then again, maybe not. Just check this little boy’s reaction to catching his first fish. Some things never change! Use the links below to head straight to each section of the survey data, or just read on. There’s more detail on holiday destinations in the individual fishing sections below. 50% of our respondents admitted dodging work to go fishing. Common excuses include illness, family emergencies or a car breakdown. Families fare no better than jobs for an angler’s commitment. 46% have missed birthdays, anniversaries and weddings in favour of a day’s fishing. a couple of participants confessed to dodging their own honeymoon to go fishing! Sea anglers: 60% said they’d support a sea rod license if the proceeds helped to improve sea fisheries. 44% of anglers that answered the survey do not support any conservation organisations. For those who do actively support conservation, the Angling Trust is the most popular conservation group among anglers. 17% began their waterside obsession when they were under five years old! Well over half of all the fishermen and women that took part in the survey were introduced to the sport by a member of their family. Most of these (38%) were parents, but a quarter were brought to fishing by a grandparent, sibling, uncle or aunt. The largest group of respondents is carpers – 36%. The next largest group is the fly fishers at 31.5%. Coarse anglers make up 21.5%, and the remaining 11% are sea anglers. Everyone has their own reasons, and when we asked ‘Why do you go fishing?’, the top answers were ‘to enjoy natural surroundings’, ‘to relax’, ‘peace and quiet’, and ‘the thrill of the catch’. What can you get from fishing? 73% told us they get happiness from fishing. 60% have found friends through fishing, and 2% of respondents have even found their partners through fishing! Carpers are largely a peaceable group, but there’s still a bit of conflict at the waterside. Just under 10% of carp anglers reported that they’d had a fight about their preferred fishing spot. How is time waiting for a bite spent? There’s often time to fill while you’re waiting that bite, and we asked carp anglers how they spend that time. Anglers tend to stay focused on the task in hand, with a good third preparing tackle and bait. Carping is clearly a social sport, as the third most popular activity was to chill with mates. Sleeping is also a popular pastime. 33% of carpers spend three or four days a month fishing, but a good quarter of our respondents manage to get 5-10 days fishing in. A lucky 2% manage more than ten days a month fishing. If you’re fishing for more than a few days, there’s a good chance you’ve taken time off work. We asked where carpers’ dream fishing holiday destination was. Spain’s River Ebro was the most popular, with 16% of the vote, followed closely by Dream Lakes in France with 13.7%. Pipped into 3rd place with 13.5% was Devon’s Anglers Paradise. A great many carp anglers manage to keep their annual spend under £1000 – 47% of them, in fact. Less than 2% spend more than £4,000 per year. In terms of conservation, the numbers weren’t quite as strong. The Angling Trust is supported by 31% of our respondents, but 61% reported that they didn’t support any conservation organisations at all. Flies are obviously crucial to the fly fisherman or woman. Whether or not they make their own flies is a personal choice. We asked, and it turns out that 66% of respondents do make their own flies. New Zealand, Canada and Alaska are the top dream fly fishing holiday destinations. Nearly a quarter (23%) of respondents want to cross the globe and head to New Zealand. The proportion of fly fishers that support a conservation organisation is higher at 48%. Again, the Angling Trust is the most supported by this group. Seasickness isn’t too much of a problem, but 10% of respondents did say they got seasick. We feel for these people – rotten luck to love a sport that makes you feel unwell! Norway came out top with 34% expressing the land of the fjords as their first choice. Florida was in second place with 16%, and Iceland was the choice of 10% of sea anglers. We asked you how you felt about fishing gadgets. 62% of anglers generally don’t care, but 30% love them, with the remainder not caring at all. The largest group of technology fans is the carpers – 44% of this group love gadgets! Tackle theft is a growing problem. 30% of anglers in the survey have lost fishing equipment to tackle thieves. Fishing as an Olympic event? Fishing hasn’t been an Olympic sport for 115 years. We asked if anglers thought it should be an Olympic sport now, and only 41% said ‘yes’. Those are the results of our Great British fishing survey. If you’d like to study the data a bit more closely, get in touch at fishtecblog@gmail.com and we’ll be happy to share it with you. Most people really don’t get fishing. “It’s just waiting”, they point out, as if that hadn’t occurred to us before. We’re perfectly aware that we’ve been sitting for hours in the drizzle with a line slacker than a pair of clown’s trousers. We know it’s ironic that our net is the only thing that doesn’t come back wet. Doesn’t it occur to them that maybe that’s the point? Yet take something like yoga, where sitting doing nothing is also a vital ingredient, and everyone views you as a healthy, well-adjusted individual. Fishing and yoga aren’t so different, but fishing is definitely better. What’s yoga got to do with fishing? On the face of it fishing and yoga already have a lot in common: they both require specialist gear (fishing rod or yoga mat), they’re often done in solitude, and enthusiasts of either sport can be spotted a mile off thanks to their outfits. Consider the lone figure sitting, concentrating and quietly reflecting; are we talking about an angler or a yogi? An important part of yoga is mindfulness, the action of paying attention to the moment; accepting and understanding your feelings and thoughts; and learning to separate yourself from negative experiences. For many of us, the chance to spend some time alone organising our thoughts is also one of fishing’s major appeals. Just consider how important wildlife, scenery and generally being close to nature is to so many fishermen. Read fishing blogger Danny’s account of discovering a new place, full of beautiful scenery and wildlife, and then try to argue that yoga’s idea of ‘oneness’ is really so absurd. The experience of fishing is just as important as landing a fish. Don’t panic – you haven’t become a yogi! Calm down, we’re not trying to persuade you that you already like yoga. The point we’re making is simply that we all need time to relax, to get away from it all and be by ourselves. Fishing ticks so many boxes for a mind overwhelmed by the pace of life. It gives us a chance to slow things down; it gives us one simple, single objective to focus on; it gives us the sense of achievement that comes from landing a catch or mastering a new skill. These are the proven benefits of angling. And many men prefer outdoor to indoor spaces. In his blog post ‘The Power of Solitude: Why You Should Spend More Time Alone’, Mark Sisson reminds us that men are more likely to seek solitude outside. Sitting on a mat in a room full of candles while listening to a CD of wind chimes really doesn’t suit our mind set. Fishing and yoga have their similarities. They both allow you some peace and quiet, and the chance to get your brain in order and feel better. But people practising yoga are unlikely to get slapped in the face by a giant carp any time soon. And that’s why fishing is better. Fishing gives you all that fun and the relaxing benefits of a yoga class. In the battle of fishing versus yoga, fishing is the clear winner.